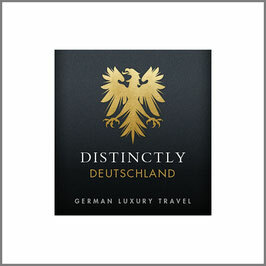 Distinctly Deutschland offers truly custom tailored adventure travel through Germany, Austria & Switzerland. Each travel planning is uniquely tailored to the individual preferences of our guests. Be it a specific interest in history, art & culture, nature & adventure, culinary highlights or simply following their ancestries tracks, we will make sure to research and offer what is at our guests hearts. We will open doors for private tours and events at major sights, museums, restaurants & premier vineries so our guests get the beauty whilst beating the crowds! Our approach to offering destinations only after on-site scouting and a careful selection of service partners warrants exceptional location knowledge of the destinations we offer. All our guides & partners are selected on professionalism and knowledge but equally on their personality being genuinely good company for our guests. In this way we make sure our visitors will get an authentic glimpse into the beauty of the country but also its culture, rich history and soul of the part of the world they are visiting. Personal continuous end-to-end care by our travel tailors from the first (phone) contact, the travel planning process throughout the visit until the end of the trip. Meet & greet by our staff at the airport, unlimited and pro-active travel concierge service via a Distinctly Deutschland local iPhone provided to the clients. We love our country and are enthusiastic about showing our guests the best it has to offer!